Town Square Jewelers is a renowned jeweler in Fayetteville, Georgia. Since 1964, original owner and founder Walter Rodriguez created and perfected a variety of fine jewelry styles, custom making pieces for Elizabeth Taylor, former Prime Minister of Israel, Menachem Begin, and England’s Queen Elizabeth. When he passed away, his son Eric took on the family business, maintaining his father’s legacy of offering the best of fine jewelry in Georgia. 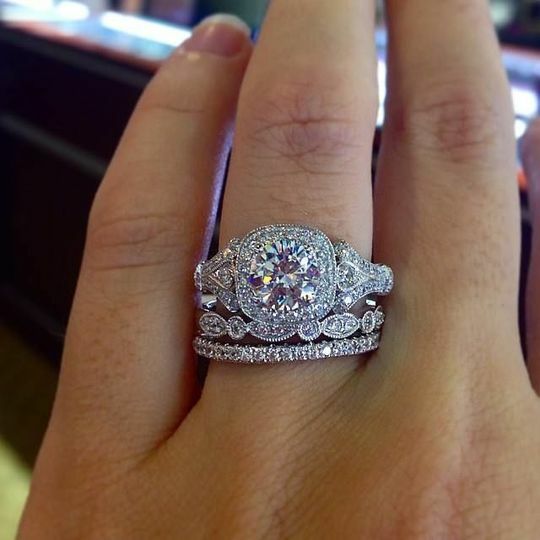 Town Square Jewelers provides engagement and wedding jewelry, loose diamonds, and one-of-a-kind custom jewelry design. Town Square Jewelers is known for its custom designs, often handcrafted and made to its future owner’s style. They are known across the area for carrying the “Other” Diamond, a man made diamond, perfectly cut diamond that uses precision tools by hand rather than machine. Town Square Jewelry sells handcrafted, custom engagement and wedding jewelry, and fair trade items all at reasonable prices. They also provide full repair services for all types of pieces. Come see our collection of vintage style engagement rings, featuring Gabriel and Company.